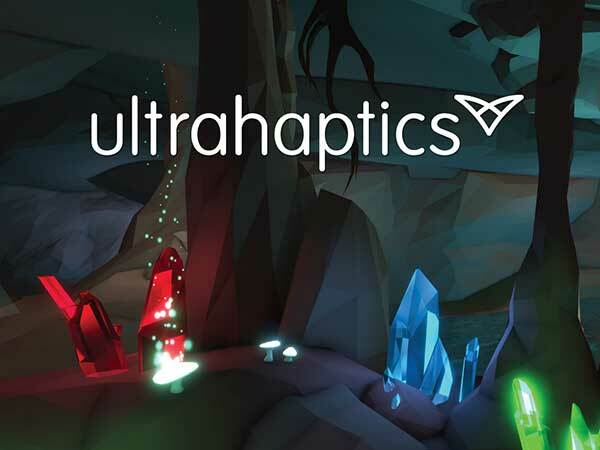 From November 13th to 16th 2018, Ultrahaptics will demonstrate a new level of immersive entertainment experiences using its mid-air haptic technology at IAAPA Attractions Expo, in Orlando, FL, USA. Ultrahaptics’ technology projects the sense of touch directly onto the user’s bare hands, without the need to wear gloves or hold controllers. When implemented in location-based entertainment experiences, the technology can create haptic sensations, enabling the visitors to experience the magical feeling of virtual touch that appears on their bare hands in mid-air. Amongst the demos that Ultrahaptics will be exhibiting are two new Virtual Reality experiences. The first, ‘Crystal Cave’, is a multi-player, walkabout experience, showcasing different haptic sensations that can be created using its patented ultrasound haptic technology. Visitors will be immersed into the virtual world of The Cave of Elements where there are set challenges to complete in order to become members of The Sorcerers’ Guild. Throughout the challenges, visitors will enjoy a variety of haptic effects, from the feeling of passing their hands through a mystical waterfall, to otherworldly flames flickering on their fingertips. The second experience, a collaboration with independent development studio Fallen Planet Studios, brings haptic feedback to the horror genre in a specially adapted version of the hit VR game AFFECTED: The Manor, commended as one of the best Virtual Reality experiences to date with over 200 million views on YouTube. A series of unfolding events and environments, designed to utilise the strengths of virtual reality, have been augmented with a variety of surprising haptic sensations, heightening the sense of immersion, and making the experience literally feel more real, and scarier! “Fallen Planet Studios is delighted to be working with the award winning Ultrahaptics. As a leading software development studio, it is extremely important to us that we partner with the best in field hardware development companies. At the show, Ultrahaptics will also be showcasing its STRATOS Inspire, a plug and play haptic module for public installations of mid-air haptics. The unit can be added to existing audio-visual experiences and programmed to create custom magical haptic interfaces, adding a 4D sense that cannot be produced otherwise. The company’s ultrasound-based technology can create touch sensations which can target a fingertip with precision and responsiveness bringing a sense of immersion and agency to location-based entertainment. Ultrahaptics is the world’s leading mid-air haptics company. The company has developed a unique technology that enables users to receive tactile feedback without needing to wear or touch anything. The technology uses ultrasound to project sensations through the air and directly onto the user’s hands, enabling users to ‘feel’ virtual buttons, get tactile feedback for mid-air gestures, or interact with virtual objects.